NAMI New Hampshire (The National Alliance on Mental Illness) is dedicated to improving the quality of life of persons with mental illness and their families so they may have the opportunity to recover, achieve their aspirations, and live, work and play in the community of their choice. NAMI NH provides support to families and the public through its support groups, educational programs, and information and referral services. NAMI NH fights stigma and advocates for members’ rights through its legislative efforts and education. Increase NAMI NH’s visibility statewide and actively engage more people as members, volunteers, advocates, and community partners. Strengthen and integrate the relationship of the volunteers and the state office to enhance program delivery and to help cultivate relationships with volunteers and advocates at the local level. Develop a plan for regular communication with service providers to increase referrals to NAMI NH. health providers in New Hampshire. and forwarding referrals volunteer members throughout the state. NAMI NH has significantly improved its awareness and appreciation among medical and mental health providers who are key to referring friends and family members to NAMI programs across the state. Program attendance is rising; volunteer affiliate members are pleased with the increased cooperation and marketing support they have been receiving, and the quality of life of friends and family members of persons with mental illness is improving. 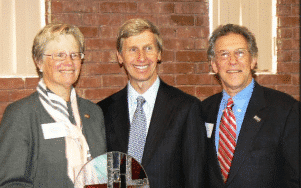 In recognition of their operational effectiveness, NAMI NH received the Walter J. Dunfey Corporate Fund award for excellence in Nonprofit Management in 2008.